Mitchell reflected a draft strategy on the Pirates’ part that appeared to seek upside, as they went with prep players on their first four selections. He also reflected a greater emphasis on power potential than they’ve generally shown. Mitchell was rated more highly going into his senior year than at draft time, but a change in his approach at the plate hurt his stock. He’d shown plus power and the ability to drive the ball to all fields in the past, but in 2017 he developed a pull happy swing that resulted in increased swings and misses. He rebounded late to put up decent stats for the season and has the power, hit tool and strike zone judgment to be a good hitter in the future if the strikeouts aren’t an issue. He’s a below average runner who was already limited as a prep player to left field and he doesn’t have a strong arm, so his bat will have to carry him. He had a commitment to the University of San Diego, but the Pirates signed him for exactly the slot amount. Mitchell didn’t hit the ball with a great deal of authority during his debut, but he wasn’t overmatched, as the BB:K ratio shows. He played two games each in center and right, and spent the rest of his time in left. His plate discipline was just decent throughout the season. Mitchell had a reverse platoon split, batting 357/413/490 against LHPs and 258/325/409 against RHPs. He played a few games in right and otherwise played left. Despite the fact that he couldn’t maintain his early hitting, Mitchell’s season was a success considering his age. 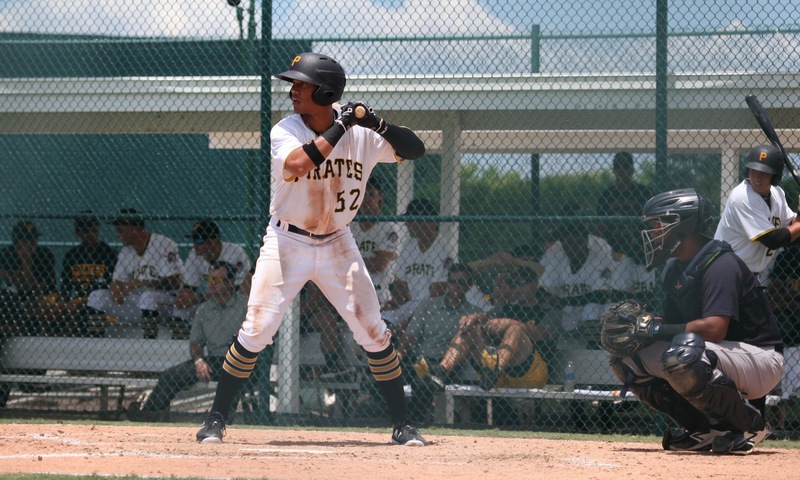 He’ll go to Bradenton in 2019 and at this point appears to be one of the Pirates’ best hitting prospects. June 12, 2017: Drafted by the Pittsburgh Pirates in the 2nd round, 50th overall pick; signed on June 20.